(Byfield MA) “What are you trying to do, break in a new whistle?” yelled one of the frustrated Ipswich spectators. 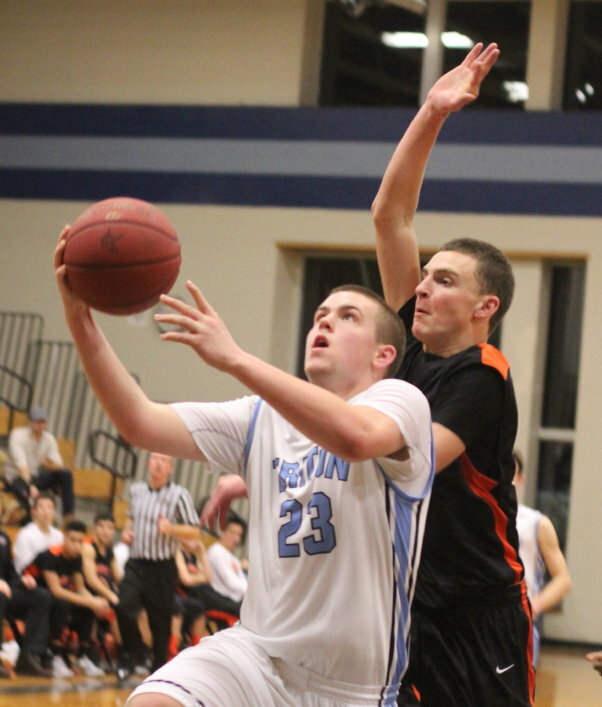 Triton defeated Ipswich, 56-40, on Monday night in a game in which forty-two fouls were called and sixty-three foul shots taken. The Vikings (5-6) proved to be the much better free throw shooters and that played a big part in carrying them to their fourth straight win. Seniors Cam Armand (22 points) and Corey Parsons (21 points) had exceptional games for the winners. 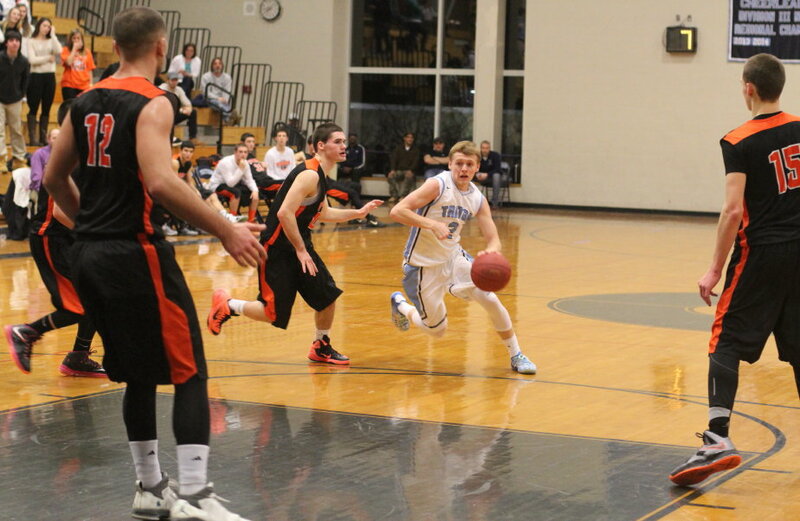 Cam made 17-of-22 free throws in the second half while Corey tallied twelve points in the first quarter to drive Triton to a 17-6 start. 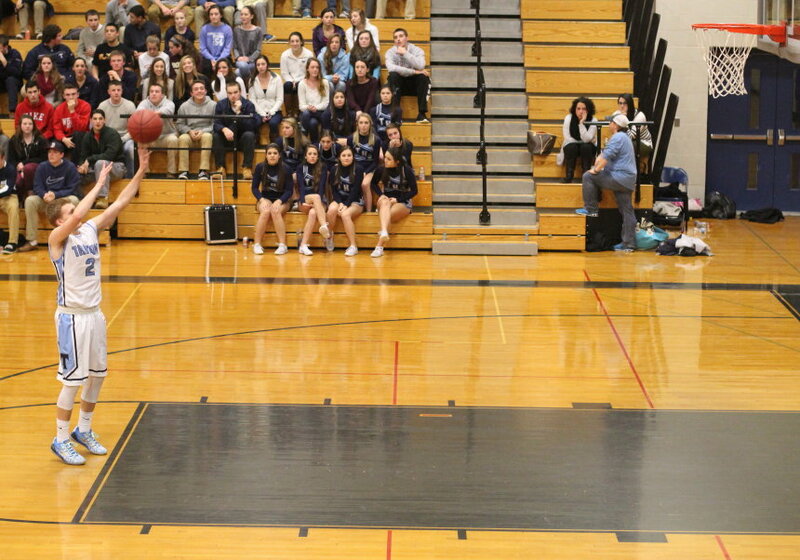 Ipswich (2-7) couldn’t make shots from anywhere and trailed, 37-18, with 4+ minutes left in the third quarter. That bad shooting never changed but the ferocity of the Tigers defense did. Over the next 7+ minutes of playing time Ipswich trapped, gambled, and forced ten Triton turnovers and closed to 43-37 with five minutes left in the game. 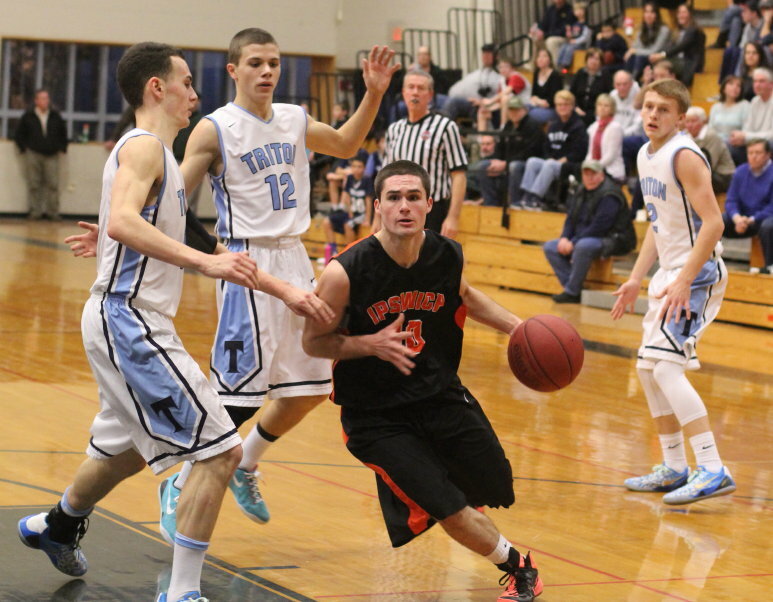 Freshman Pat Flaherty had ten points in the Tigers run to contention. The rest of the way the Vikings made sure that the ball was in senior Cam Armand’s hands most of the time. Why? 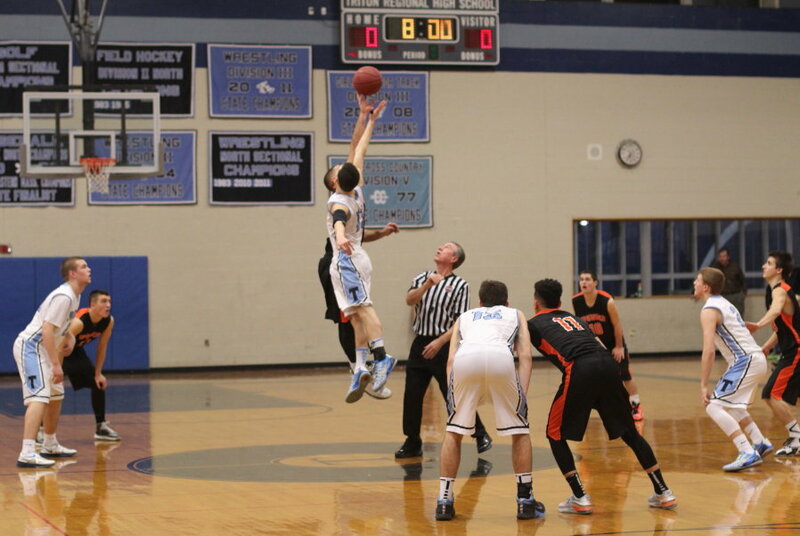 The young man can shoot free throws. 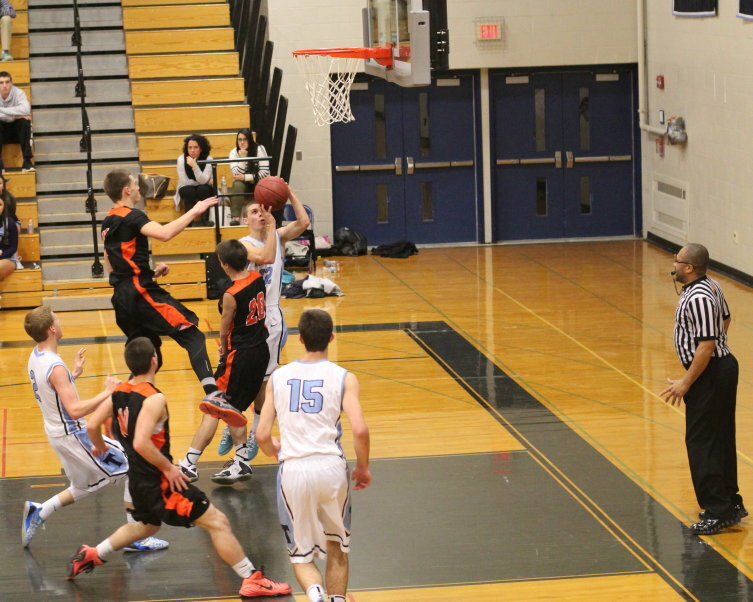 Cam drained 10-of-12 in the final five minutes to keep the visitors from getting any closer. The Tigers dropped their fifth straight. Their shooting was downright scary! 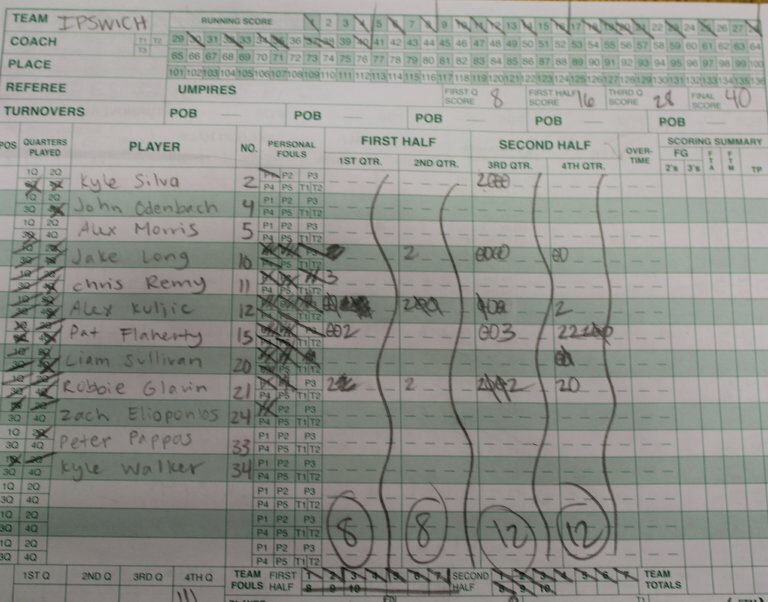 I don’t know what they shot from the field but my stats had them making only eight of twenty-nine free throws. In one section of the second half they missed nine straight. 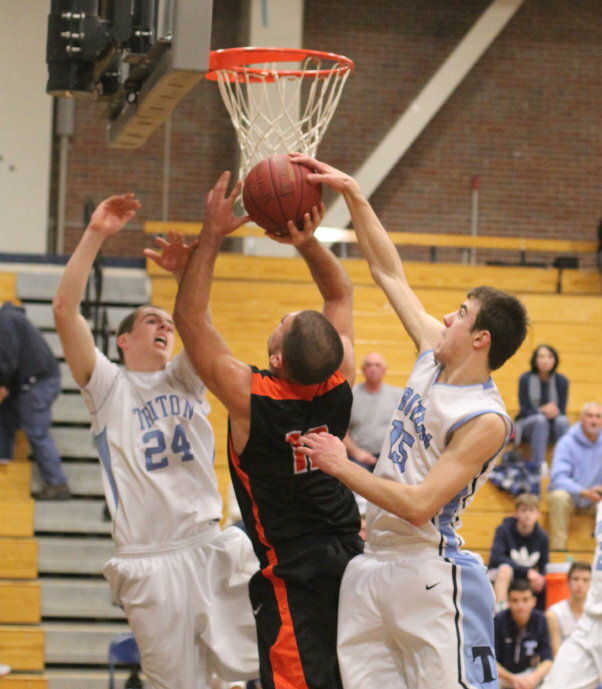 Triton, despite the win, has to face the reality of twenty-six turnovers. Those empty possessions didn’t hurt them against cold-shooting Ipswich but it might against teams ahead. Ipswich trailed the entire game. It was a special win for the Vikings because this was their fifth win with a lot of season left to go. 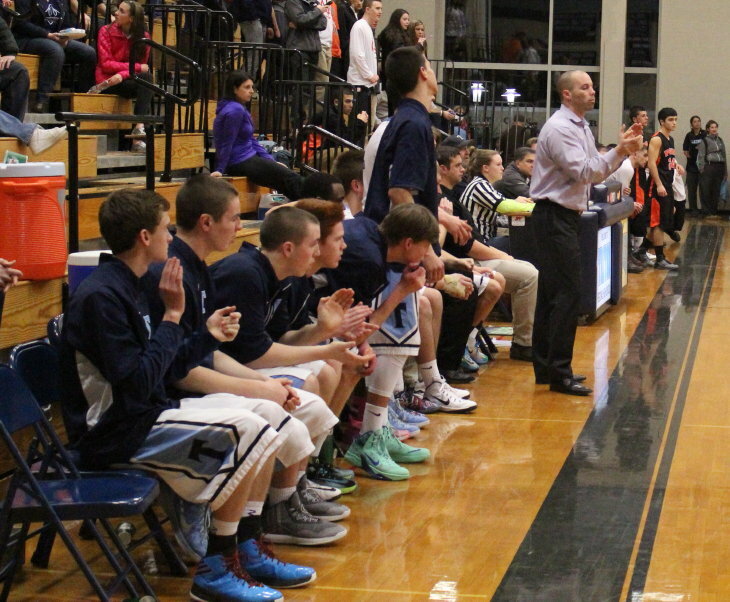 Last year Triton won just four games all season. They are surely improved. 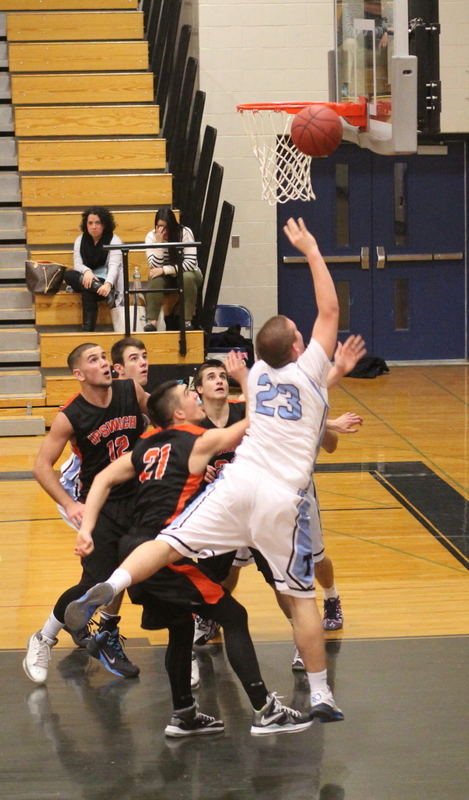 The Tigers’ Pat Flaherty cashed a rebound as he was falling backwards. Later, he got away with inbounding the ball off the back of a Triton player and laying it in. 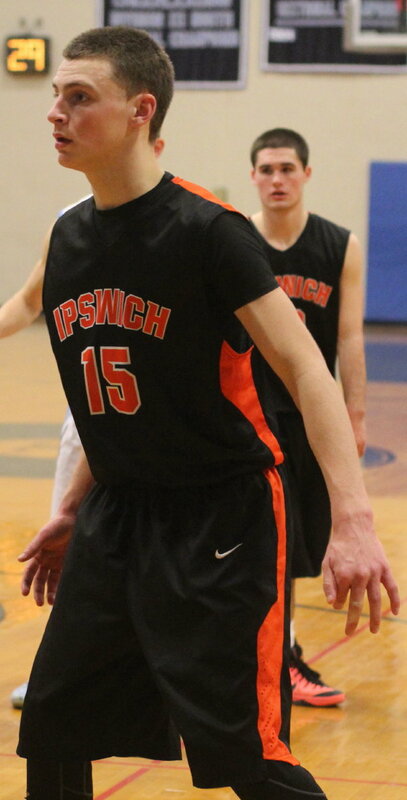 IHS coach Alan Laroche and guard Jake Long were assessed technical fouls in the third quarter. 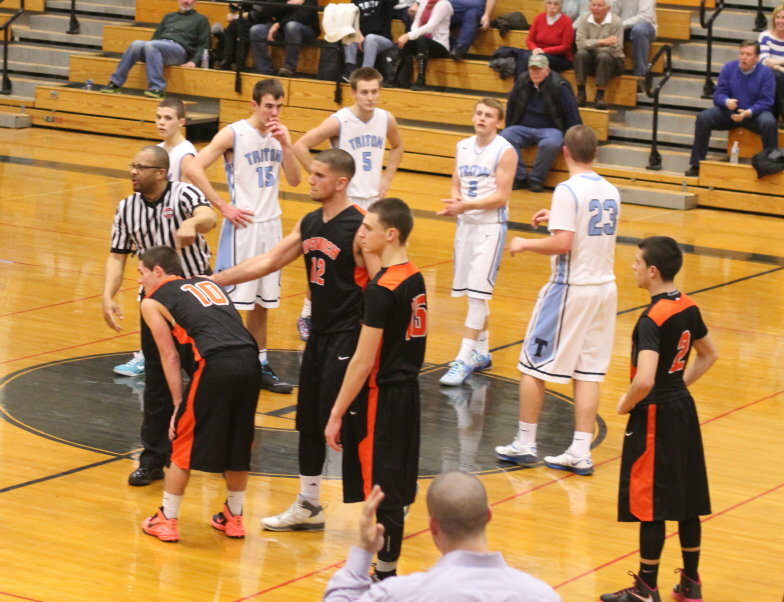 Every foul called, and there were plenty, seemed to arouse the ire of the team it was called against. This was a game in which there were many fouls committed. Both teams defended with passion but there was way too much reaching in the open court. Those fouls have to be called. The referees were several minutes late for the second half. Tough night for Jake Long. 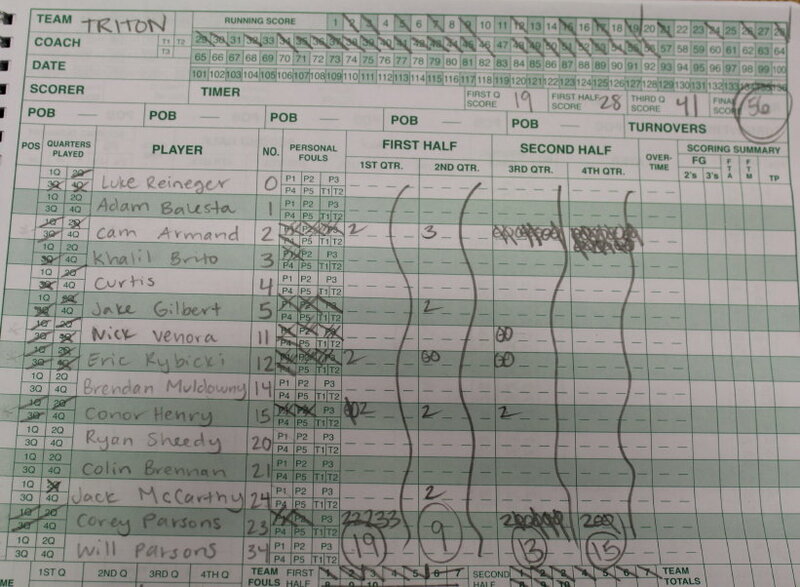 I saw the IHS junior nail six 3’s on the way to a 24-point performance versus Newburyport on Friday night. 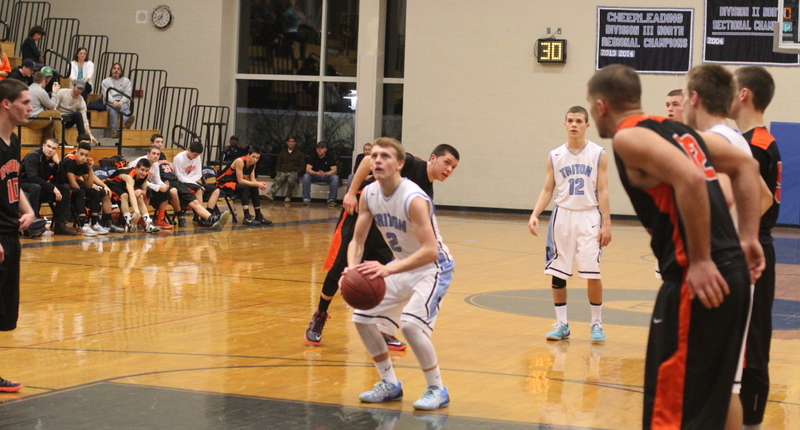 Jake was limited to five points by Triton. 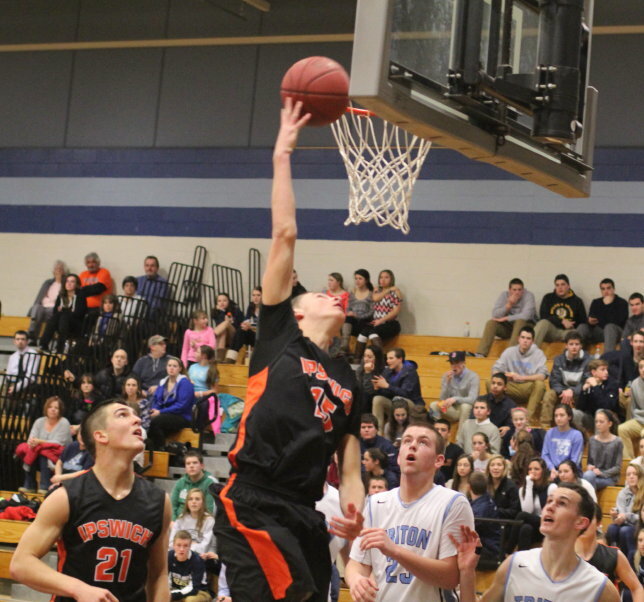 The Tigers look to break their losing streak on Friday night when they host Pentucket. The Vikings will be a Manchester-Essex on the same night hoping to add to their four-game winning streak.